This object is easily visible as the brightest star is of mag. 5.2. It looks like the outline of a human ear. The upper end of the ear is located at the southwestern part of the asterism, the lower part of the human ear at the norteast. The brightness of the stars involved varies between 5.2 and 9 mag. A widefield eyepiece and/or a small telescope are of help. I observed it with a 50 finderscope and a C8 with a widewield eyepiece. I stumbled across this asterism when hopping to the well-known planetary nebula NGC 2392 ("Escimo Nebula"). 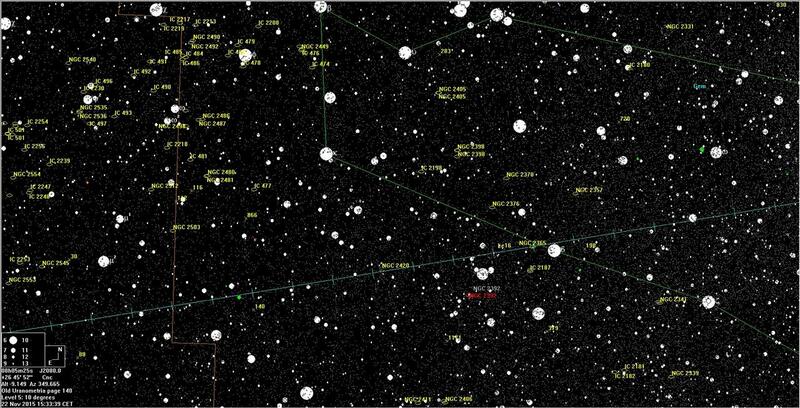 The asterism is well visible with a finderscope of 50mm (2") aperture. It should be visible with a binocular of modest size in normal conditions. You will find it about 1,8 degree east of Delta Gem. Below you find one finder-chart for the object (click to enlarge). 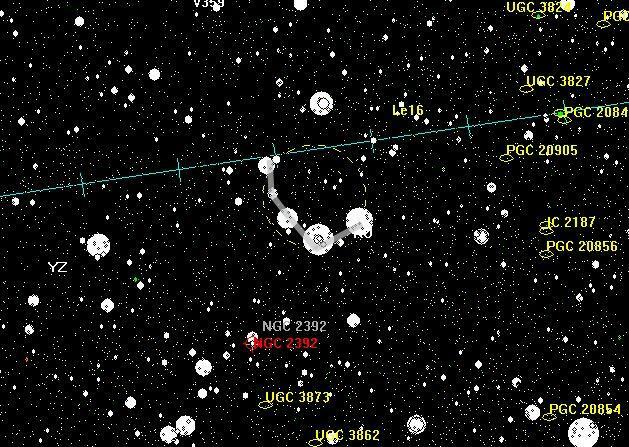 Spend some time examining NGC 2392. It is wonderful planetary nebula for every telescope. 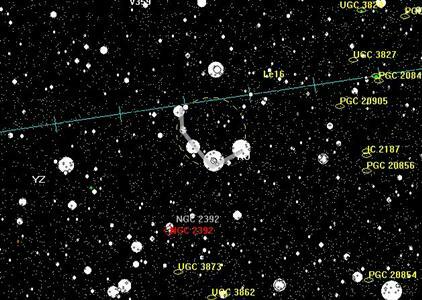 Also noteworthy is the bi-polar planetary nebula NGC 2371/2 which is located 8,5 degree north of NGC 2392.